What is Dante AV Networking? Dante is AV networking technology built by IT people for IT people. Dante transports high quality audio and video signals on a traditional IP network with incredibly low latency, without the need for bespoke AV-specific cabling. Because Dante is built on IP standards by network engineers, it’s easy to deploy and maintain, and takes the hassle out of installing and managing AV equipment. With robust monitoring and user access controls, Dante integrates into your existing IT infrastructure and processes, and keeps your AV systems secure. With over 1700 interoperable products from over 430 manufacturers, it is the de facto standard for networked AV. Dante’s wide adoption is driven by Audinate’s dedicated engineering team of network experts who see IP as a means to standardizing connectivity between all types of devices, allowing people to easily do more with media. We work with our partners to ensure that Dante is a solid network citizen, thoroughly tested and built entirely on well-implemented standards while meeting the needs of the most demanding AV users. Dante takes the complexity out of point-to-point AV systems and delivers coherent, consistent performance that works like networking should. Dante is designed by networking specialists to be efficient and sensible, with highly predictable behaviors and performance that allow data and AV traffic to easily coexist. Dante Domain Manager software adds network management to Dante networks that enables user authentication, role-based security and audit capabilities, while allowing seamless expansion of Dante systems over any network infrastructure. Dante Domain Manager brings IT best practices to AV, making audio networking more secure, scalable and controllable than ever before. If you've wondered what Dante technology is, and how it fits into your network, this 2-page document will quickly bring you up to speed on the basics. Learn how the IT standards-based approach developed by expereienced network engineers has led to Dante's place as the de facto AV-over-IP standard. This brief document provides technical details of how Dante work on a network, including information on DHCP, IGMP, QoS, unicast/multicast, ports, IP addresses used, switches and more. A quick two-page document providing a basic technical explanation of how Dante Domain Manager works on you network and a the configuration details to get started. See how Dante and Dante Domain Manager can simplify and manage AV environments. Audio system diagrams are included for corporate conference rooms (boardrooms), video conferencing rooms, lecture halls, classrooms, small and large houses of worship (such as churches, synagogues, and mosques), hotel and conference center ballrooms/meeting rooms, bars and restaurants, large sports facilities such as stadiums, and live performance applications for both touring shows and the performance venues themselves. These case studies show how AV & IT Managers and commercial integrators are leading the industry with Dante Domain Manager. 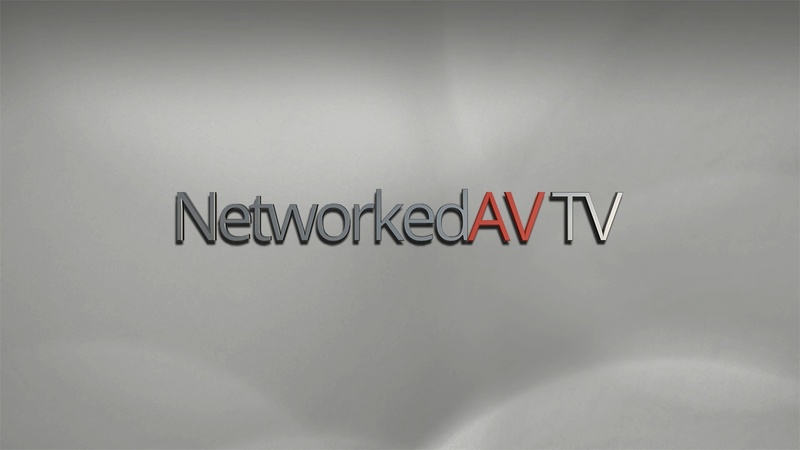 Stay up-to-date with these published articles on the current and future state of AV networking. 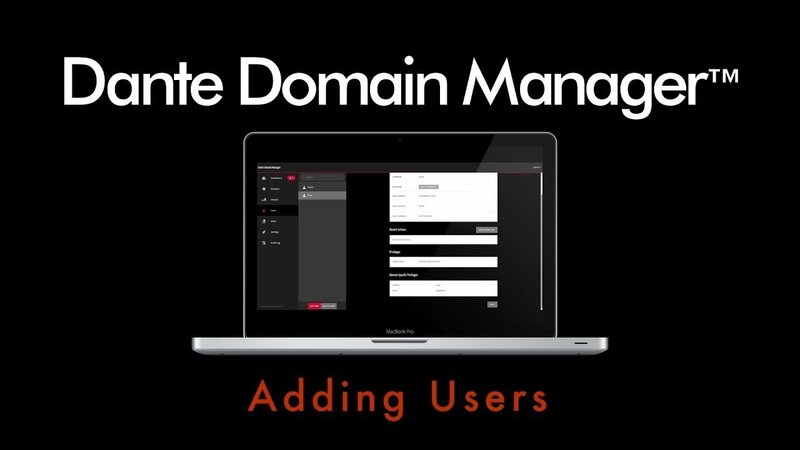 Audinate has a wide selection of videos to help you explain what Dante Domain Manager is, how it works, and who's using it. The Case Studies include testimonials from a medical center, a zoo and aquarium, a stadium and a large performing arts center. Contact Audinate's Solutions Sales Representatives for additional information. Get specific answers to your Dante questions from an expert.